Sign up to get interesting news events, specials, birthday greetings and other exciting updates delivered to your inbox. 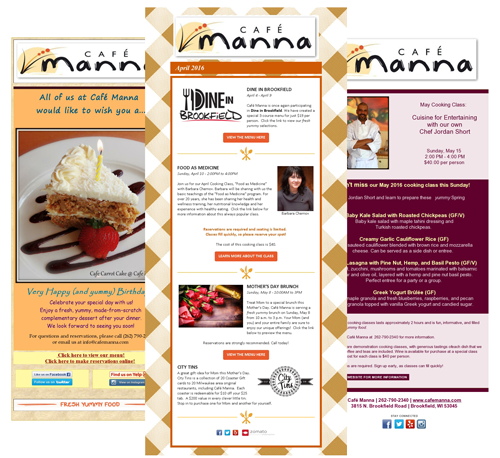 The emails we send include a regular monthly email newsletter informing you of upcoming events, specials, and additional exciting news about Café Manna. Share your birthday with us and receive an email entitling you to a free birthday dessert of your choice. Click below to enter your information.